Liverpool have been one of the traditional powerhouses in world football. They have been European champions five times, tied with Barcelona, and Bayern Munich, and are only behind Real Madrid and AC Milan. Although they have fallen behind some of the European giants in the past two decades, their place in the pantheon of the greatest football side is undisputed. They saw their heydays in the 1970s and 80s when they had the likes of Kenny Dalglish, Alan Hansen, Ian Rush and Phil Neal amongst others and were led by the greats of football management in Bill Shankly and Bob Paisley. Such was their dominance in Europe in their heydays that the Reds won successive European Cups in 1978 and 1979 and a third and fourth in 1981 and 1984 respectively. They set many records during their peak years. In 1974 Liverpool registered their biggest win as they hammered Norwegian outfit Stromgodset 11-0 in a UEFA Cup Winners’ Cup encounter in 1974. They have been unable to better the record since. The first three European Cup triumphs for the Reds came under the management of Paisley and he remained the only schemer in world football to have won the prestigious trophy thrice as a manager until Carlo Ancelotti equalled the feat in 2014/15 season. 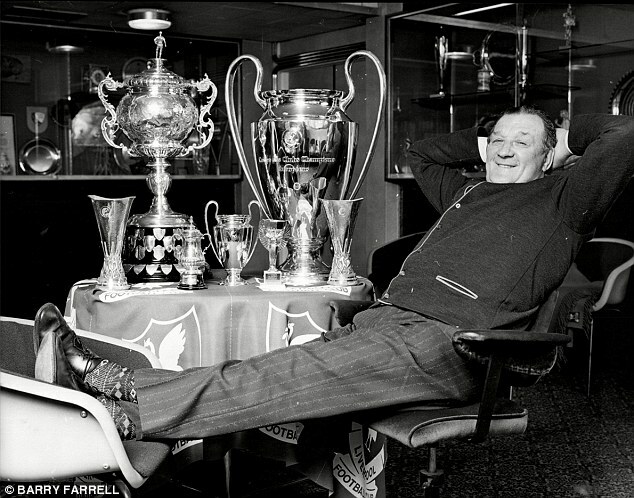 Still, Paisley remains the only man to have achieved the feat at the same club. Such was the strong leadership at the club that the transition from one manager to the next was a seamless process via the famed Boot Room at Anfield. The original members of the Boot Room were Shankly, Paisley, Reuben Bennett, Joe Fagan and Tom Saunders. Fagan was at the helm when Liverpool became European champions in 1984. Ian Rush went on to become the greatest goalscorer for the Merseyside giants during the course of his stint at the club. By the time he hung his boots, the Welshman had netted 346 goals for the Reds. Several members of the Liverpool squad of the 1970s and 80s find themselves on the list of top ten most appearances for the club, highlighting the importance of sticking with the same group of players for continued excellence. Ian Callaghan remains top with 857 games under his belt, while Ray Clemens and Emlyn Hughes share the fourth spot with 665 appearances each, Rush had 660 (sixth), Neal 650 (seventh), Tommy Smith 638 (eighth), and Hansen 620 (tenth).